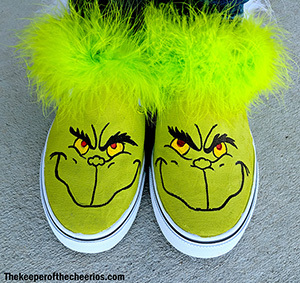 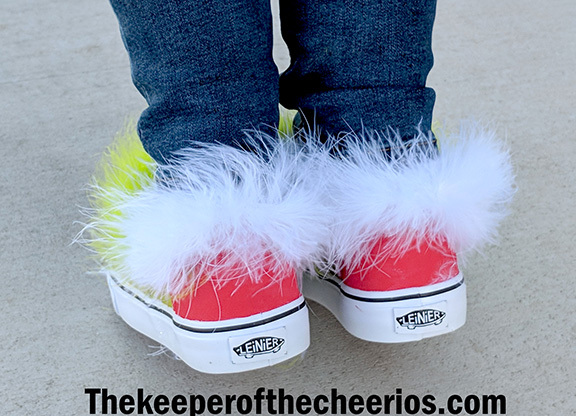 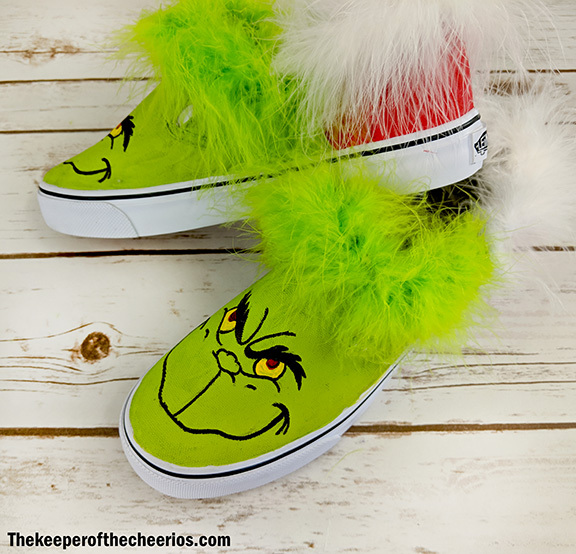 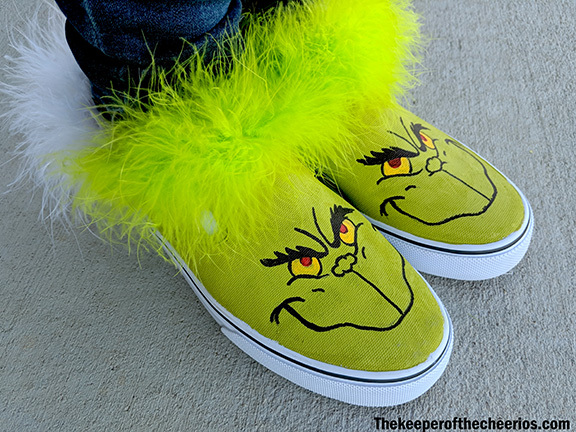 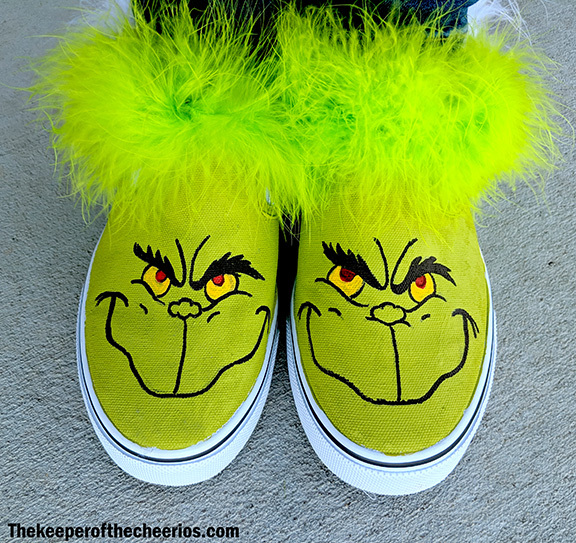 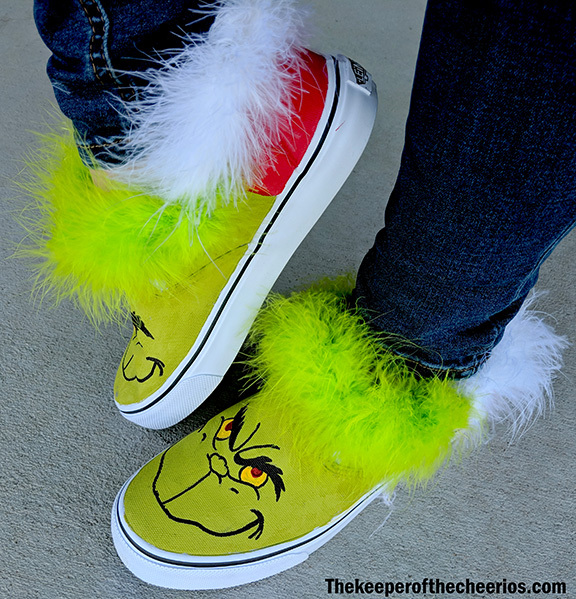 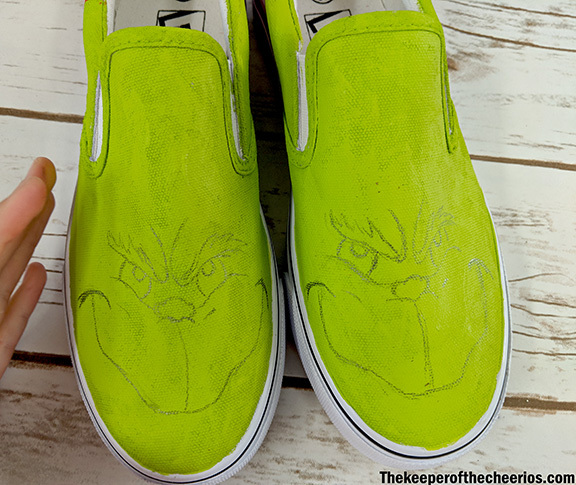 These DIY Grinch Shoes are so much fun and are adorable for any Holiday occasion. 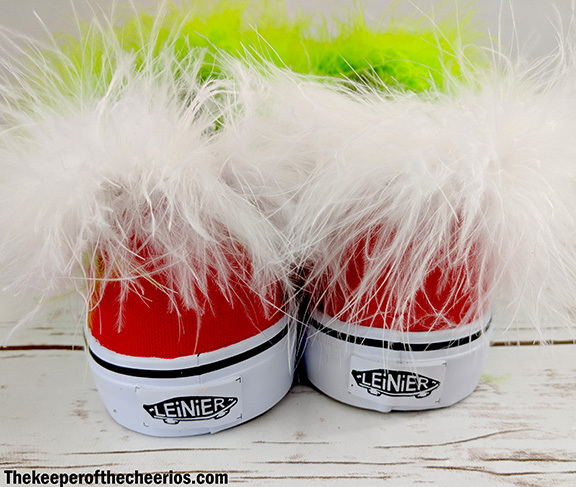 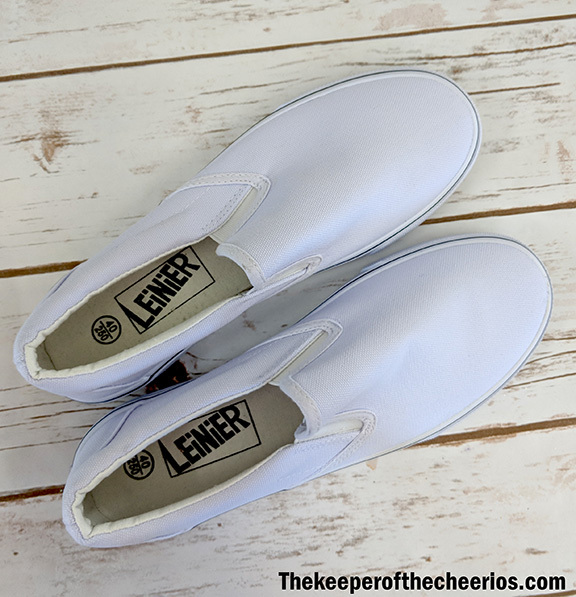 These would be perfect to add some bells and bling to make them over the top Ugly sweater shoes. 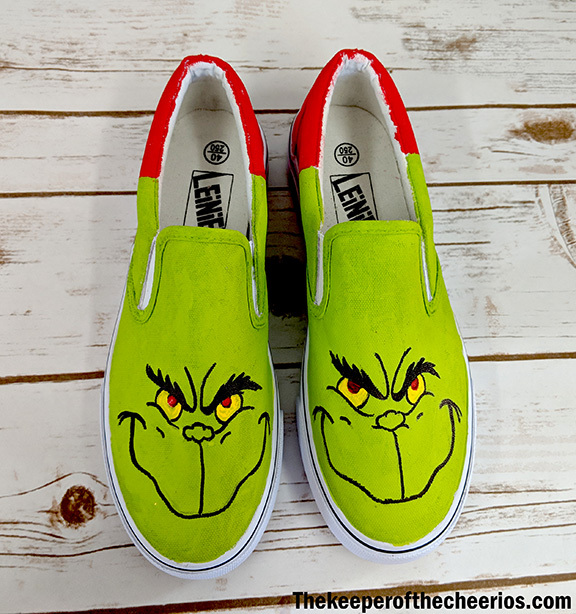 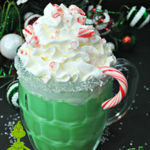 Thanks for this awesome idea. 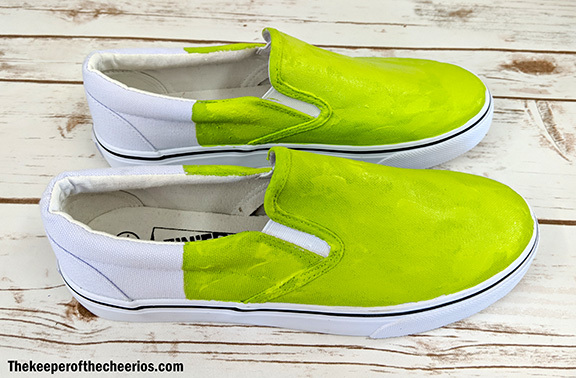 I made me a pair of th we amd I took it a little further and decided to make a matching shirt too. 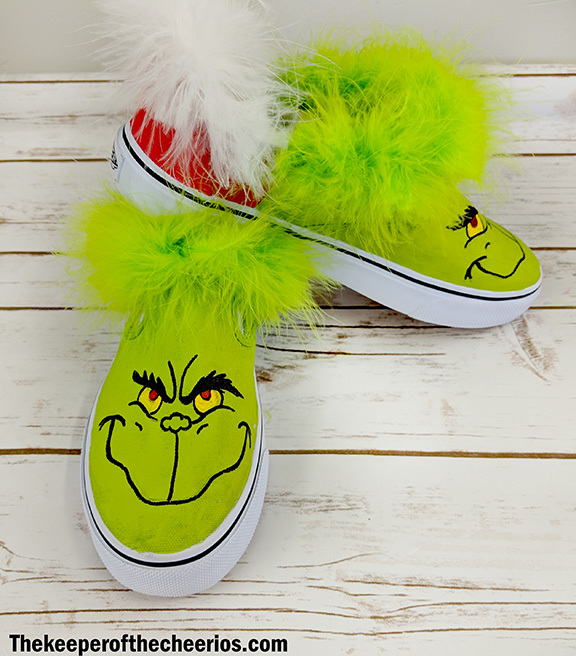 My daughter even had me make her a shirt and then her best friend a shirt with Max (The Grinch’s dog). 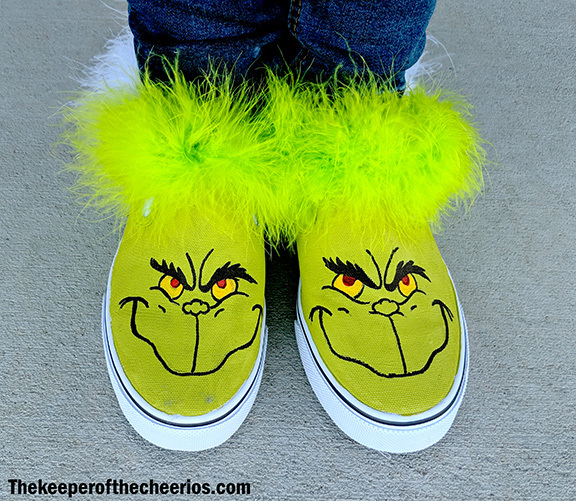 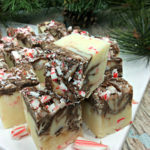 I had so much fun making them and then wearing them.